Advanced Placement is a program in the United States and Canada created by the College Board which offers college-level curricula and examinations to high school students. American colleges and universities may grant placement and course credit to students who obtain high scores on the examinations. 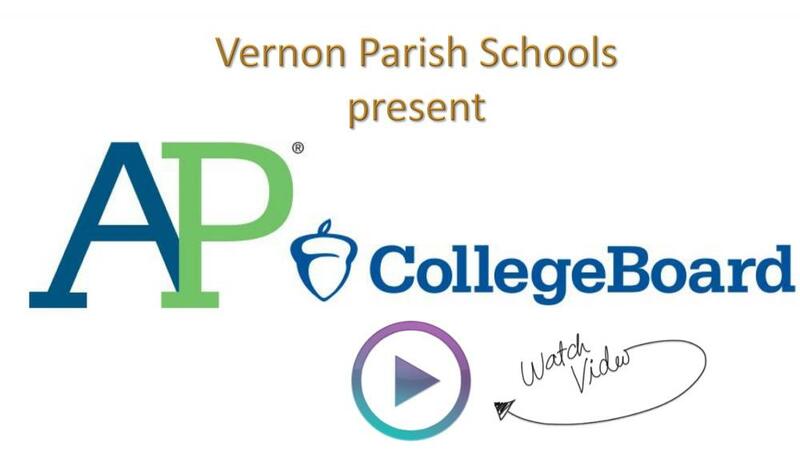 The AP curriculum for each of the various subjects is created for the College Board by a panel of experts and college-level educators in that field of study. For a high school course to have the designation, the course must be audited by the College Board to ascertain that it satisfies the AP curriculum. If the course is approved, the school may use the AP designation and the course will be publicly listed on the AP Course Ledger. We want to thank the National Math and Science Initiative (NMSI) for their help in making the Vernon Parish AP program a success. As soon as NMSI generates links for computer science Jan 26 and March 23 and physics March 9 and March 30 we will include the links on this page. Please note the change of location on March 23 and March 30.